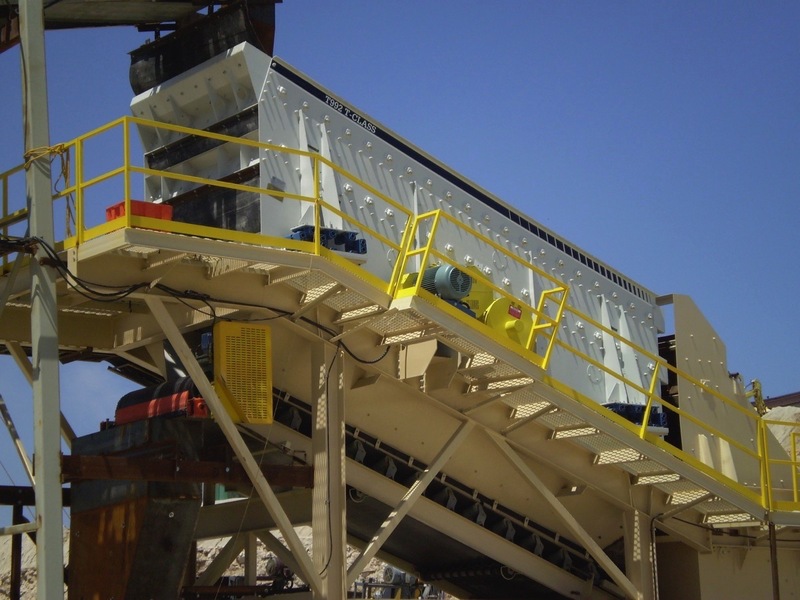 Haver & Boecker, equipment manufacturer and solutions provider for aggregates and mining applications, offers the versatile two-bearing Tyler T-Class vibrating screen for a wide range of materials with a top size of 16-inch minus. The machine has a cut size range of 20 mesh to 6-inch minus. A sheave combination and drive belts power the T-Class. A wide variety of add-on components allow producers to outfit the machine with features to enhance their specific operation. These include a dust enclosure, spray system, ball trays, special paint systems and more. Additionally, Haver & Boecker manufactures the machine with a stainless-steel construction, on a skid mount, or as a stationary or portable structure. Producers can choose from machines ranging in size from 4-by-8-foot to 8-by-20-foot (approx. 1.2 by 2.4 m to 2.4 by 6 m), as well as 8-by-24-foot (approx. 2.4 by 7.3 m) with a twin shaft. The standard model is inclined at 20 degrees, but variations between 15 and 25 degrees are also available. Haver & Boecker offers the versatile two-bearing Tyler T-Class vibrating screen for a wide range of material types and sizes. The T-Class features a robust body with non-welded side plates, which eliminates cracking along the seams. The shaft housing includes extra-wide flanges to allow Huck bolting through the tube housing flange, side plate and side plate stiffener. This allows maintenance crews to keep the factory seal and creates a very rigid and solid connection to resist the high bending moments in this area. Haver & Boecker designed the side plates to extend behind the bearing housing, allowing the 16-3/4-inch high tensile strength bolts to sandwich the side plate, reinforcing plate, shaft housing and bearing housing together. This creates even more stiffness in middle of the machine where it’s most required to withstand bending and twisting. The manufacturer also forms the reinforcing plate with 90 degree vertical edges to give the side plate stiffness from top to bottom, tying the upper and lower decks together for additional strength. Rigid body brackets manufactured to withstand large static and dynamic loads support the body weight and carry through to the springs, ensuring smooth operation. 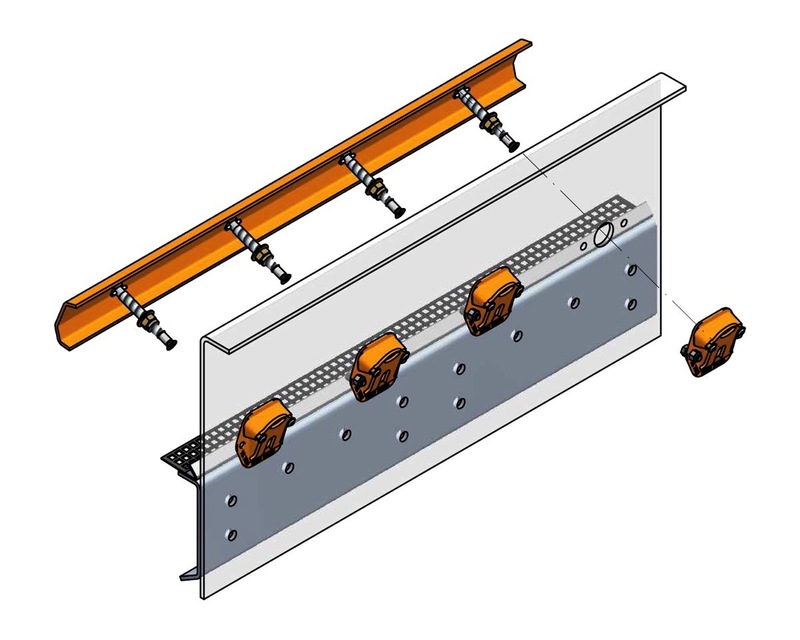 The Ty-Rail™ quick-tensioning system cuts screen media change-out time by about 50 percent. Haver & Boecker equips every cambered deck on a T-Class with its innovative Ty-Rail™ quick-tensioning system, which cuts screen media change-out time by about 50 percent. Each Ty-Rail package includes two tension rails, eight angle boxes and eight bolts. To remove the tension rails, an operator simply loosens the bolts on each, shifts the angle box gates up, and lifts the rail and bolts out as one piece. Operations can pair the T-Class with any type of screen media, including Haver & Boecker’s signature Tyler engineered media. This includes the long wear life of Ty-Wire, Ty-Max and Ty-Deck. Operations can pair the T-Class with any type of screen media. Many operations are eligible to receive Haver & Boecker’s three-year Uptime Service Package free with the purchase of a T-Class. The service program provides 36 months of warranty coverage on any new equipment purchase. Uptime offers customers a full-service approach to equipment optimization, from parts inspection and equipment assessment to screen media evaluation. Additionally, Haver & Boecker offers the Pulse™ vibration analysis program to monitor the ongoing health of vibrating screens through real-time views, logged reports and data analysis. It’s designed by Haver specifically for vibrating screens to catch small inconsistencies before they grow into problems and downtime.